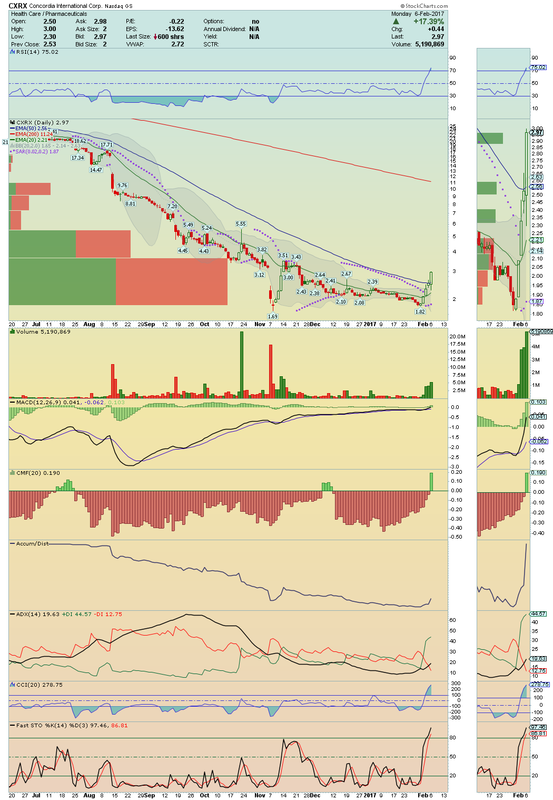 CXRX ----> Made a tremendous trade session under heavy Bullish Volume, Accumulation and Buying Pressure! Also it broke strongly above its 50EMA opening thus, a large room to climb! The stock is going through a strong Momentum and north, is the way. Long and Strong. GLBS ---> It made also a tremendous trade session, where the price reached the maximum of +29.85% on volume in regular trade session, then extending after hours. 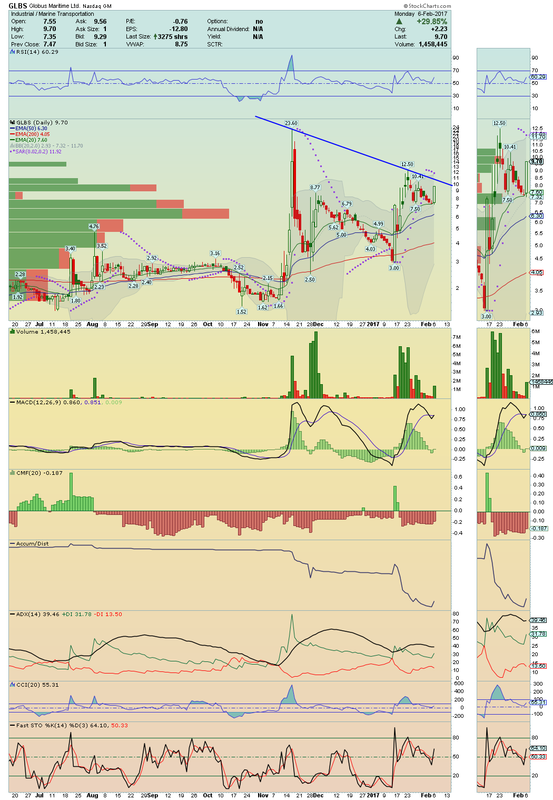 Now, this Gapper Candidate, if breaks above this Down TrendLine on volume, it could make a powerful upside movement toward $23.60. Stay closely. 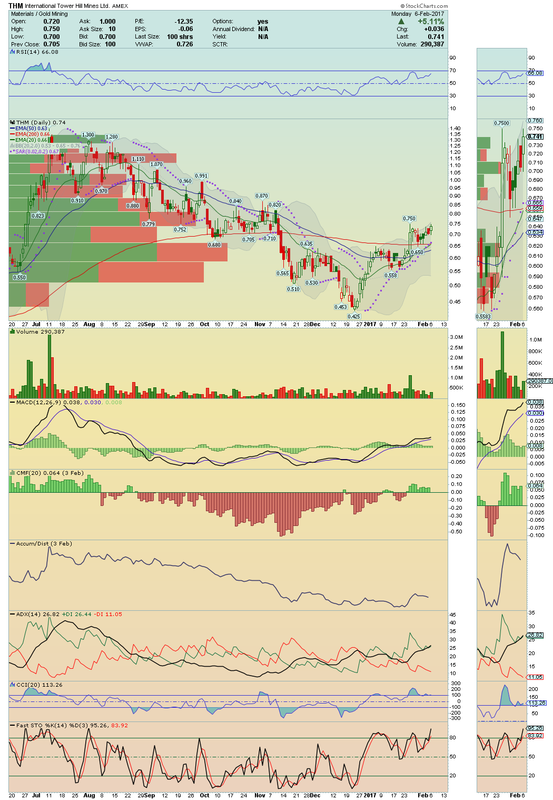 THLD ----> Made a strong trade session with high Volume and Buying Pressure staying now on the verge of a big Breakout. 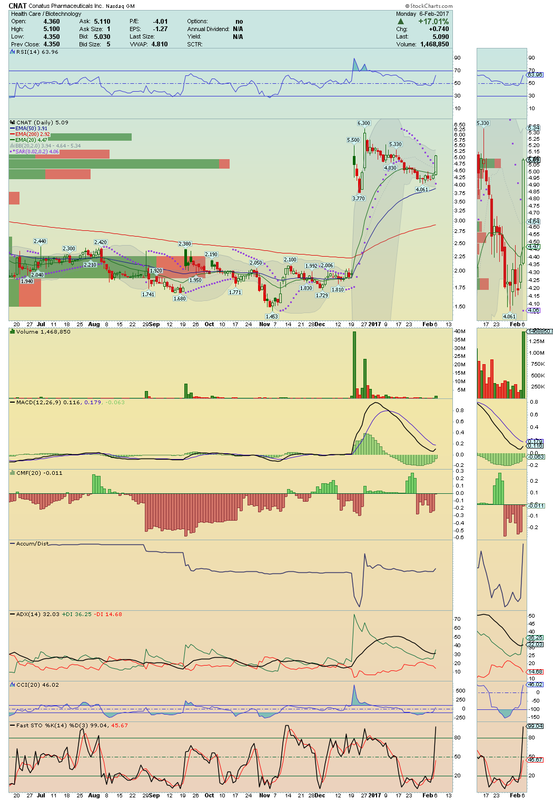 Over $0.608, it could enter into the Gap easily, going then test its 200EMA. Nice chart. CNAT ---> The last hour and a half of the regular trade session was crazy! Shares close with the maximum of 17.01% on Volume and Buying Pressure. I´ll be watching for a break above its Upper Bollinger Band Line. On volume, it could make a New 52 Week Higher easily. Buyers are confident. I´m too. 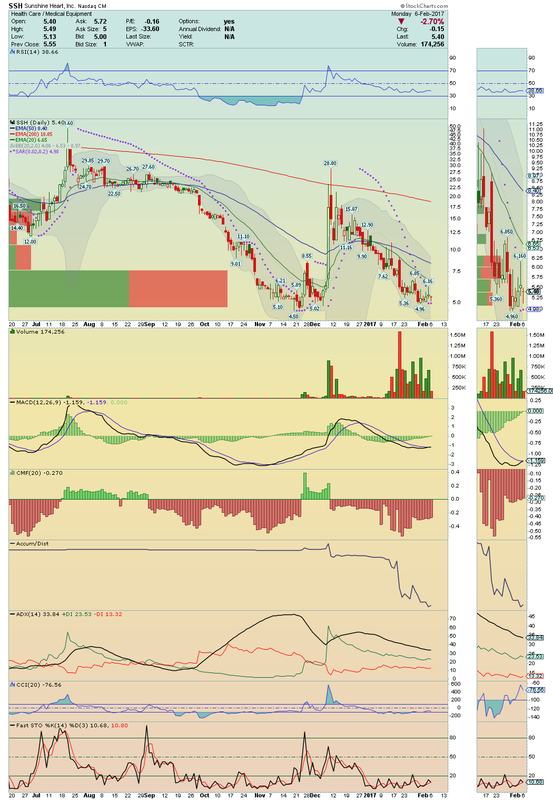 THM ---> It is under high Buying Pressure and is in Breakout Mode. Could be interesting if break on volume. Nice Gold setup. On watch. ONTX ---> Long for a Bounce. The price show strength after it touched both EMAs, starting immediately a possible recovery. That is what i´m waiting for today. SSH ---> The price made a nice recovery from Low of the Day going to close near of High of the Day with MACD giving a strong Buy Signal. Bottom Player poised to move on. 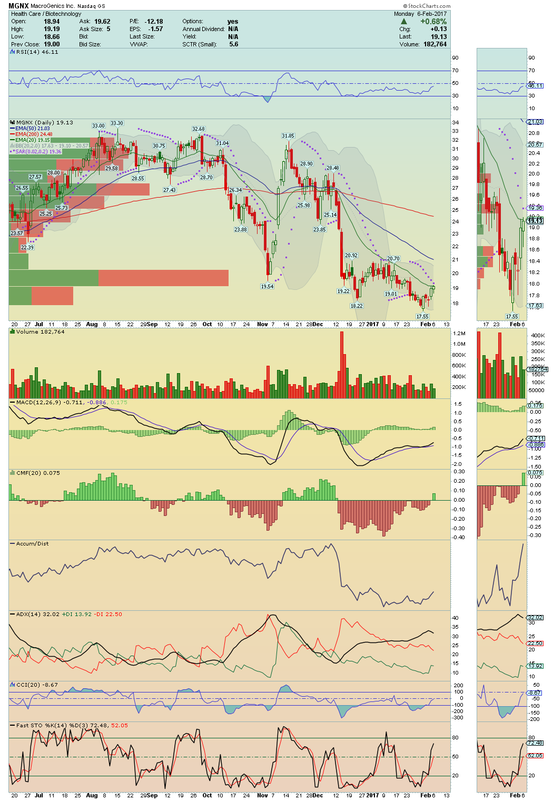 MGNX ---> It is breaking up its 20EMA with strong positive divergences on chart! 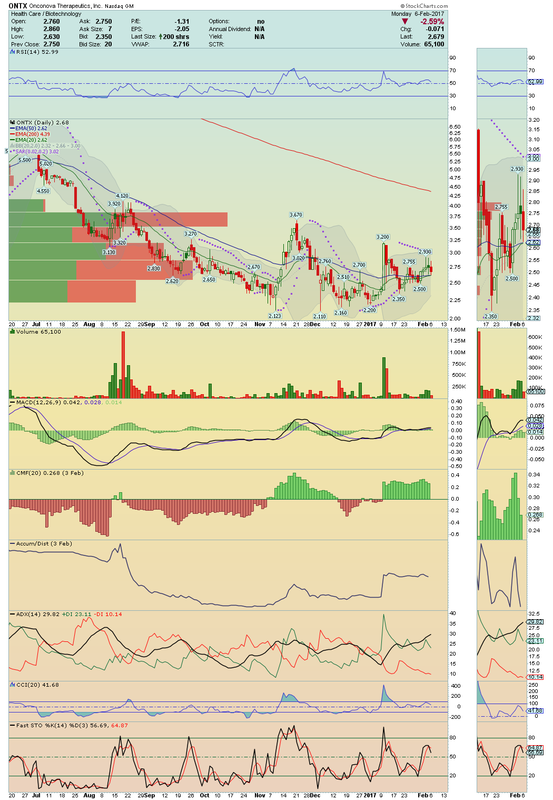 If confirms this break on volume, it could make a nice run up towards its 50EMA. Stay tuned.